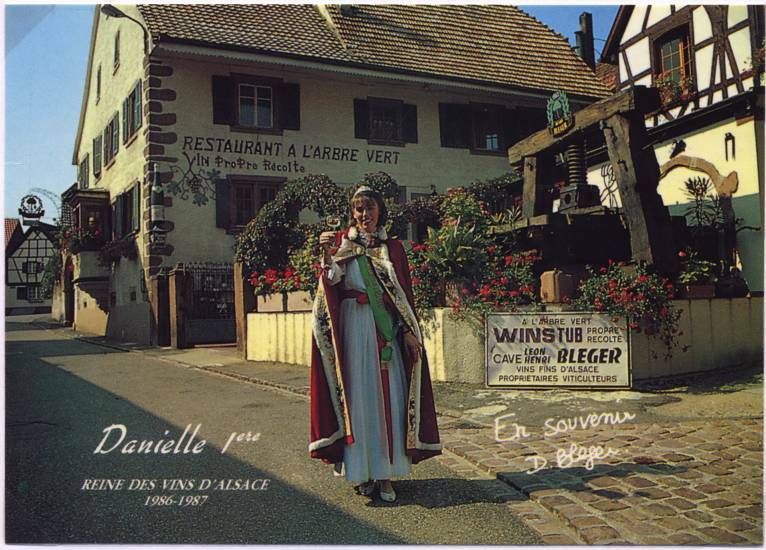 Just like the region it traverses, the Alsace wine-growing region grew considerably became out comme la région qu’il sillonne, le vignoble alsacien s’est enrichi de nombreux apports over the centuries. Though only distantly-related to the vineyards we know today, they indeed existed well before mankind appeared in this geographic region which was to form the Rhine Valley. But if vine fruits were used in this region since time immemorial, moving from simply gathering the grapes to the actual farming only happened after the Roman conquest. Excavation relics reveal the increasing importance of wine-growing such as heaps of grape seeds, remains of wooden barrels, then little by little decorative vineyard-inspired patterns used on pottery or bas-reliefs. As of the 2nd Century AD, wine transported on both the Moselle and Rhine rivers, also prove how quickly the production stage moved into the trading era. The invasion of the Germans during the 5th century resulted in a slight decline of wine-making but written documents reveal that these vineyards gained even greater importance, most probably due to the dominating influence, under the reign of the Merovingian and Carolingian dynasties, of a growing number of bishoprics, abbey and convents which were created at this time. Vineyards slowly covered the Alsace region. At the beginning of the 13th century there were about a hundred wine-making villages and 170 during the 14th century. This expansion pursued without interruption up until the 16th century during which it reached its heyday. 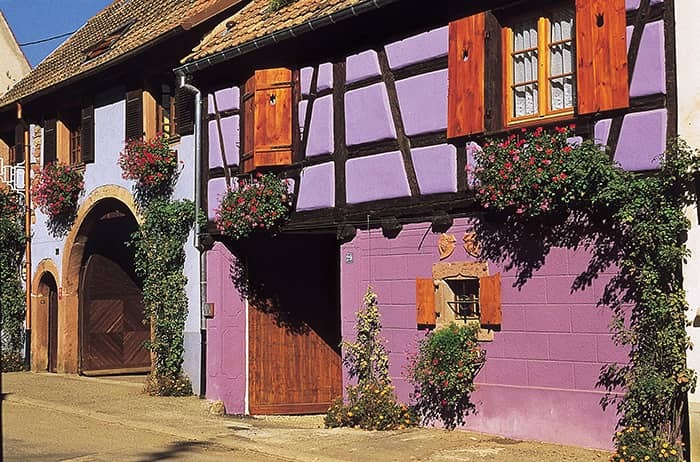 The Renaissance-style homes which are still visible in the numerous wine-making villages, bear witness to these prosperous times when the Vins d’Alsace were exported all over Europe thanks notably to the river transport along the Ill and the Rhine. Incredibly lucrative wine taxes were imposed benefiting mostly the municipalities, monasteries or nobility. During this period the first grape variety regulations came into being concerning their cultivation and vinification, and where the Traminer, Muscat or Riesling were already mentioned. These regulations were severe for the time and show how there was already the desire to assert a region-specific wine identity though quality wine-making. The Thirty Years’ War (1618-1648), was a devastating period due to rampaging armies, pillaging, hunger and the pest which had catastrophic consequences on wine-making as on other regional economic activities. The villages were ruined and the vineyards destroyed. River trade was interrupted as well as relations towards other Nordic countries (the Netherlands, Scandinavian countries, Northern and Central Germany, England). 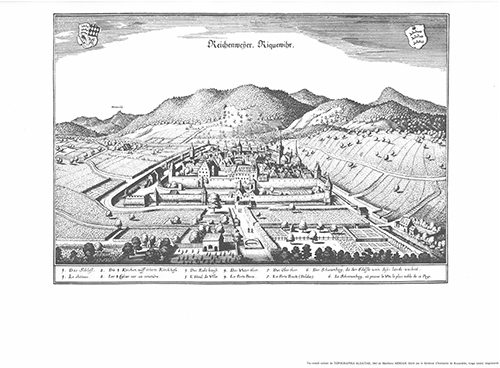 But as soon as the war was over and despite the market losses, wine-making cities in the sub-Vosges area like Ammerschwihr, were built up again. Through all the 17th century, Strasbourg remained the privileged centre for exports to German and the Lorraine, whereas Colmar and its region targeted the Swiss market, Swabia, Bavaria, part of the Lorraine and the Vosges valleys. The Vins d’Alsace coteaux (hillside vineyards) were reputed to be excellent white wine. 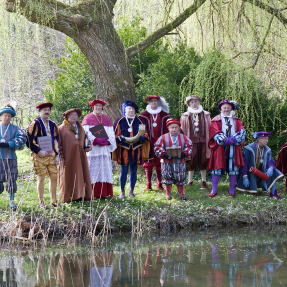 Faced with the success of Vins d’Alsace some land owners didn’t hesitate exceeding the traditional limits set for wine-growing. The vineyards unfolded into the plain where common grape varieties were planted intended for mass production, creating a real difference with the hillside vines which continued to produce quality wines. In 1731, a royal edict attempted to end this situation but was unsuccessful and the trend became more wide-spread after the Revolution. Indeed the nationalisation of seigniorial and ecclesiastical lands had significant consequences on the vineyard characteristics: the properties were divided up and purchased by farmers who continued producing wine themselves. With the Napoleonic period, wine-makers produced excessive amounts of wine appreciated by the armies which encouraged the planting of even more vine stocks: the surface area of the wine-growing region increased from 23,000 hectares in 1808 to 30,000 hectares in 1828. 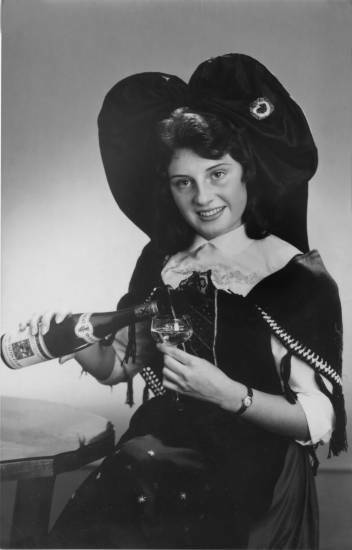 Hence began an era of overproduction, often fatal to hillside vineyards and exacerbated by the total halt of exports and decreased wine consumption in favour of beer. In 1870, this mass production was maintained during the German occupation. Traders bought acidic wines at low prices coming from productive grape varieties. These wines, with no body and no fruity touch, were perfect for making German artificial wines, diluted with water and added sugar and aromas. 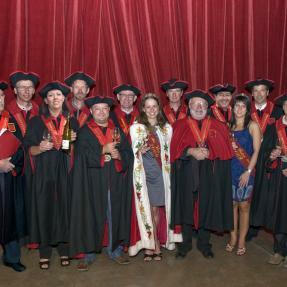 The Vins d’Alsace lost their identity while the market surge of adulterated wines resulted in prices steeply dropping. Climatic incidents and vineyard diseases such as powdery mildew and phylloxera could be added to the list of this already rather morose period. 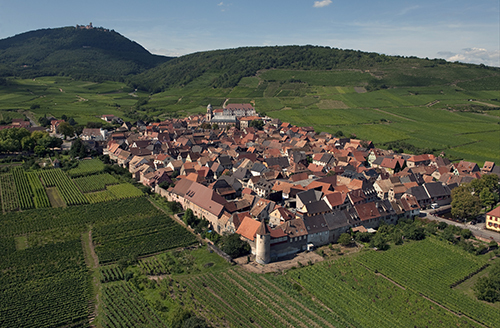 In 1918, Alsace went from being the largest German wine-growing region to being the smallest French wine-growing region. To fight against all the diseases which threatened to wipe out the entire wine-growing area, wine-growers resorted to using hybrids. Thus two economic trends sharply opposed each other: on one side partisans of producing quality wines made from traditional grape varieties and on the other side those who were totally persuaded of mass producing cheap wines, thanks to the use of directly-produced hybrids. Vineyards began to doubt and regress. So the vineyard surface area starting diminishing as of 1902 and continued until 1948, dropping to 9500 hectares of which 7500 with the Alsace appellation. 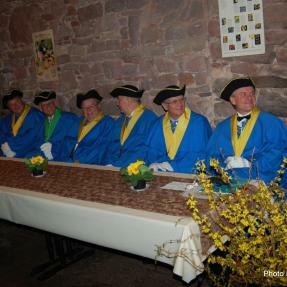 It was during these difficult times that Alsace wine-makers gathered together and decided to organize the profession with the Association of Alsace Wine-makers (Association des Viticulteurs d’Alsace – AVA They were highly-determined to improve the wine quality and return to the grand tradition of Vins d’Alsace. But the historic context was once again not fully in their favour and they had to wait until the end of the Second World War to witness a seriously-established plan to redevelop the vineyards. A ruling was signed on November 2, 1945 by General de Gaulle. 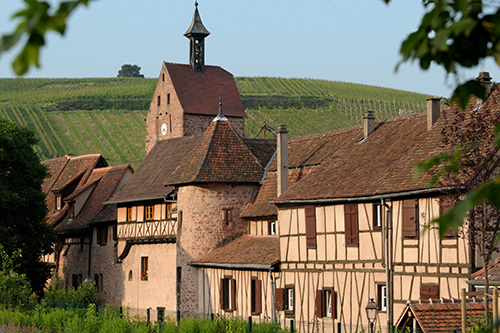 It defined the protected designation of origin for AOC Vins d’Alsace and established the first regulations. The wine production area was divided up, favouring the hillside vineyards to the detriment of the plains. The older productive grape varieties were disregarded and the finest varieties were planted. 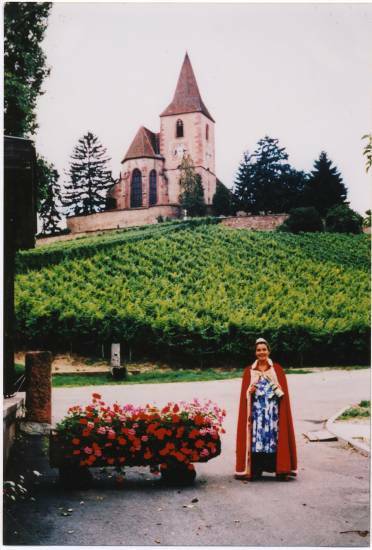 The evolution of Alsace vineyards towards producing quality wines materialised with the recognition of AOC Alsace in 1962.
promote Vins d’Alsace quality to wine consumers, particularly foreign and develop wine export. 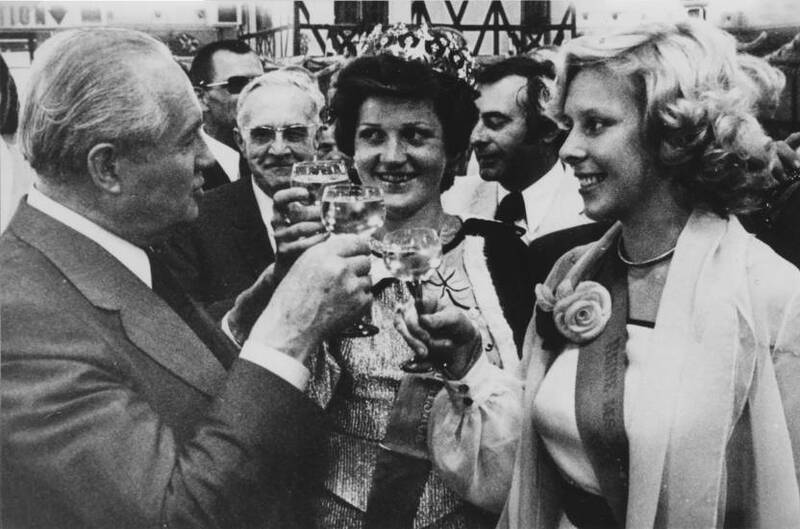 This was followed shortly after by the decrees of AOC Alsace Grand Cru in 1975 and AOC Crémant d’Alsace in 1976. The regulatory framework established by these AOC wines have never ceased evolving with the definition of even stricter and more ambitious criteria. 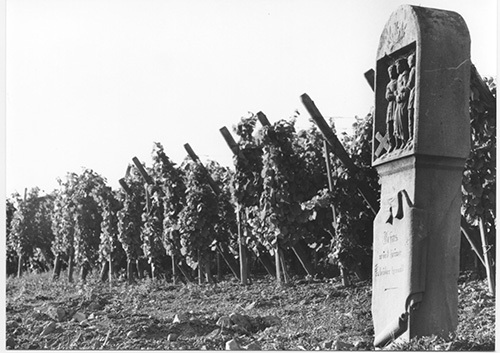 In five centuries there are no other vineyards which suffered as many obstacles as in Alsace. Today it is ranked as being one of the most beautiful production regions of France. Thanks to the continuous efforts accomplished over these last decades by the entire profession, the quality of Vins d’Alsace is unanimously highly-esteemed. 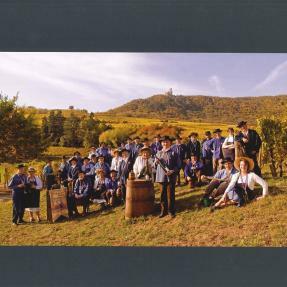 Alsace wine-makers have great respect for their land and are proud of past accomplishment, producing wines which reflect their character – authentic, fresh and aromatic. 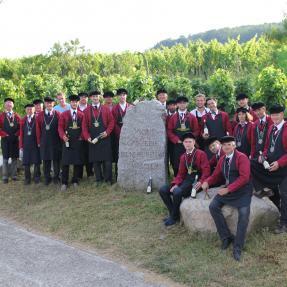 Producers and traders within the CIVA (Conseil Interprofessionnel des Vins d’Alsace) and the AVA (Association des Viticulteurs d’Alsace), contribute to promoting Vins d’Alsace all over the world. It’s in Alsace that the oldest wine can be found, dating from 1472, as well as the oldest operating cask. 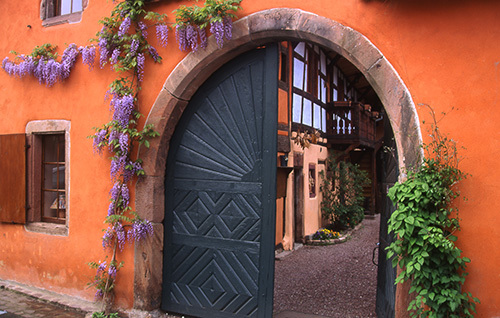 What a beautiful garden exclaimed Louis XIV upon discovering the Alsace wine-growing region. 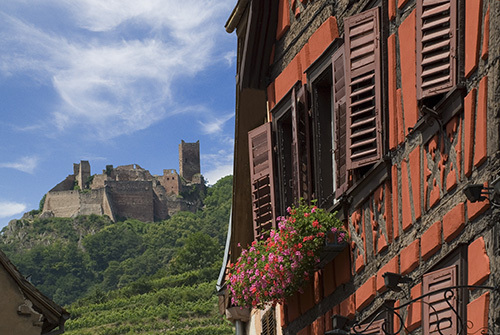 With its half-timbered houses and ruins perched on high peaks, the Alsace landscape is unique and distinct. Located between the Rhine river and the Vosges mountains, on the borders of Germany and Switzerland, this Region has always maintained a strategic position. Furthermore Alsace is one of the European regions which boast the most fortified castles which are lined up along the Vins d’Alsace Route. They date from the Middle Ages with the first known construction dates going back to the 10th century. Among the most famous ruins can be cited Haut-Andlau, Bernstein, Ortenbourg, Spesbourg, Landsberg, Birkenfels, Saint-Ulrich, Haut Ribeaupierre, Kaysersberg, Wineck and the three castles of Husseren. 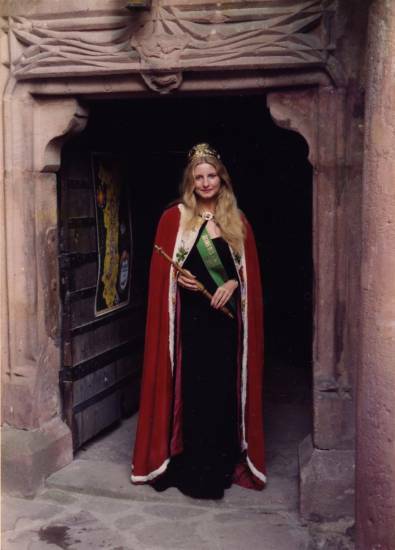 The castles of Haut-Koenigsbourg and Holandsbourg were both restored and allow visitors to better understand life during the Middle Ages. All these castles overlook the vineyards and its typical wine-making villages. There is an interesting blend of architectural periods: Medieval, Rhineland Renaissance and even some modern buildings for those devastated during the various wars of the 20th century. But they all have one thing in common which makes them so typical of the region – they are all surrounded by vineyards with houses cosily huddled closely together. As opposed to other wine-growing regions, the wines are produced within the villages themselves. 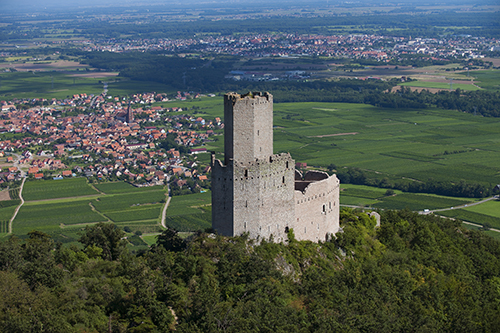 During the Middle Ages the defence walls kept the vineyards protected from any attacks. The another explanation is that the land was used to plant the most vineyards possible. 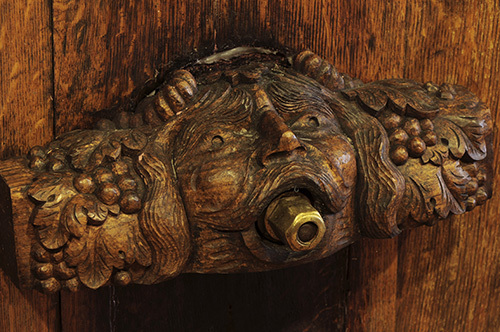 To gain room, wine-making houses from the 15th to 19th centuries were built high-up. Overlooking the street, they had courtyards which could be accessed by porches. They can be distinguished by the presence of two distinct areas: one where grapes were transformed (the press room) and one where wine was vinified and preserved: the cellar. The latter was often half-sunken and arched to favour wine preservation by preventing atmospheric variations. The ground floors were often in dressed stone and home to the storerooms where the press room was located. The upper floors either in cob (half-timbered houses) or in stone. The roofs are rather slanted. Since most wine-making villages were fortified, the gardens were usually right next to the wall on the outside of the ramparts. The barns, stables and sheds were fairly small but perfect to meet the needs of the wine-maker’s mixed farming activities. The architecture of the Bas-Rhin differs slightly from that of the Haut-Rhin. In the Bas-Rhin, mixed farming was much more common and farmers not only had vineyards but also corn and cereal fields along with fruit trees on the plain. The properties therefore had additional buildings for animals and farming material. 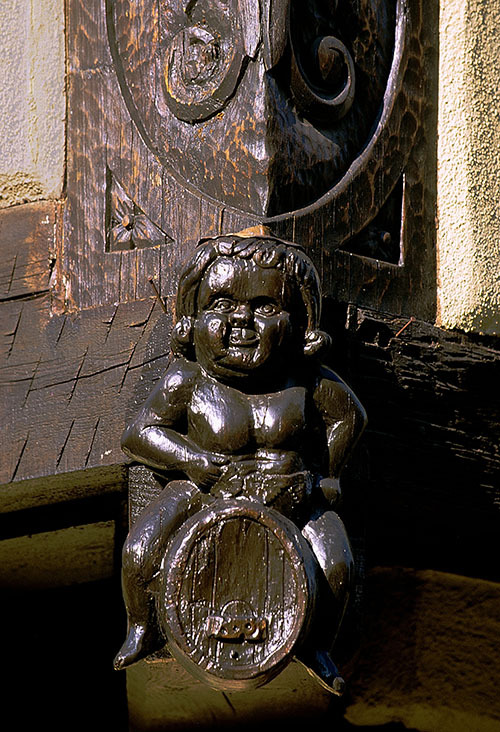 The major decorative aspects of wine-makers’ houses are found on the keystones of courtyard porch archways as well as on entrance door lintels of the living area, the cellar and on window frames. The sculpted ornamentations above the porch and entrance door indicate the date it was built, the owners’ initials and the trade symbol (pruning knife, bunch of grapes, press, harvest basket). Those present above the cellar door have a pruning knife, the six-point star (symbol of wine alchemy) and the emblem of coopers (hammer and brackets). Les multiples facettes de la vie et du travail du vigneron alsacien au cours des siècles sont présentées dans plusieurs musées. Le Musée régional du vignoble et des Vins d’Alsace (Kientzheim), à l’Écomusée d’Alsace (Ungersheim), au musée viticole (Mittelbergheim), aux « Ateliers de la Seigneurie » (Andlau), ainsi qu’au Musée alsacien de Strasbourg et au Musée Unterlinden de Colmar. Le musée des Vins d’Alsace, situé à Kientzheim dans le Haut-Rhin, abrite des collections exceptionnelles. Le rez-de-chaussée propose une reconstitution de cave avec pressoir ambulant. Le 1er étage est principalement consacré au travail du vigneron et aux métiers annexes (tonnelier, art de la verrerie). Le 2ème étage est plutôt consacré à l'aspect technique de la viticulture. Le centre d’interprétation du patrimoine des Ateliers de la seigneurie, situé à Andlau, valorise l’ensemble du territoire de Barr-Bernstein et de ses composantes : l’architecture, les artisans et leur savoir-faire, la viticulture, les personnages historiques locaux. 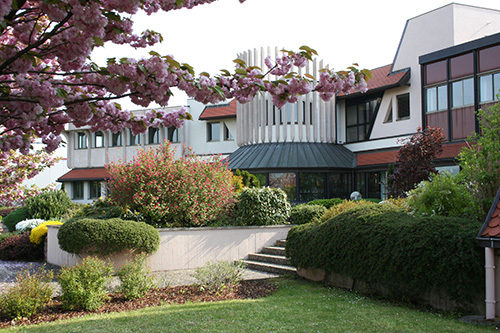 L’Écomusée d’Alsace s’organise comme un véritable village du début du XXème siècle avec ses rues, ses jardins, sa rivière et l’ensemble de ses bâtiments. Découvrez une maison de vigneron traditionnelle avec sa cave et son mobilier. Rencontrez les vignerons bénévoles qui entretiennent les vignes de l’Ecomusée comme au siècle dernier, sans intervention mécanique, et assistez aux vendanges. Le Musée Alsacien de Strasbourg, abrité dans une demeure Renaissance, permet de découvrir les milliers d’objets témoins de la vie rurale en Alsace aux XVIIIème et XIXème siècles : costumes, meubles, céramiques, jouets, imagerie religieuse et profane, etc. Des reconstitutions d’intérieurs caractéristiques de différents « pays » d’Alsace (plaine agricole, vignoble, montagne vosgienne) et d’ateliers d’artisans jalonnent la visite. Par ailleurs un nombre croissant d’entreprises offrent au public un espace muséographique permettant de mieux connaitre les Vins d’Alsace. Les confréries viticoles sont les garantes de la tradition et célèbrent les Vins d’Alsace en France et à l’étranger. Elles organisent régulièrement des chapitres et participent à de nombreuses manifestations. La Confrérie Saint-Etienne (Kientzheim), l’une des plus anciennes de France, propose toute l’année un programme d’animations et délivre un label de qualité (le « Sigille »). 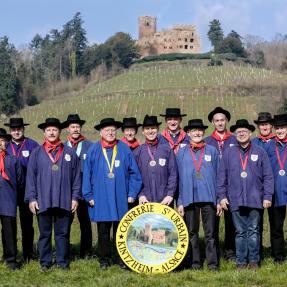 D’autres confréries célèbrent également les vins d’Alsace. 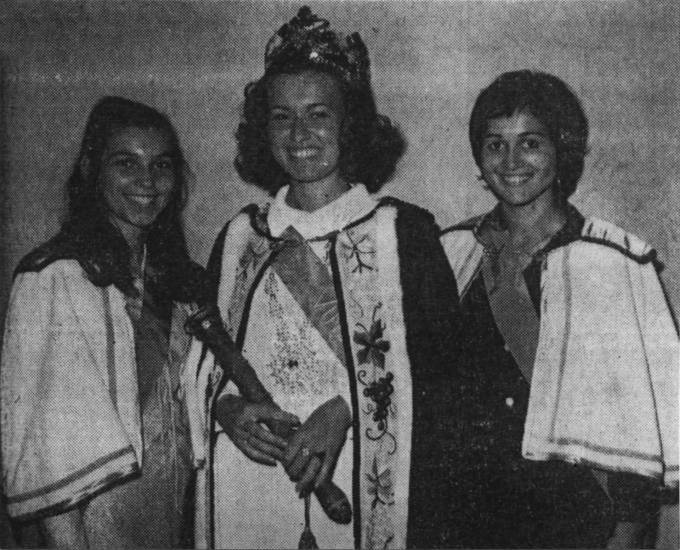 Parmi elles : les Amis du Kaefferkopf (Ammerschwihr), la Confrérie du Haut-Koenigsbourg (Orschwiller), la Confrérie de Saint Urbain (Kintzheim), la Confrérie des Rieslinger (Scherwiller), les Hospitaliers d’Andlau, les Bienheureux du Frankstein (Dambach-la-Ville), la Confrérie de la Corne d’Ottrott, l’Ordre œnophile de Marlenheim et la Confrérie des Quatre Bans (Cleebourg). 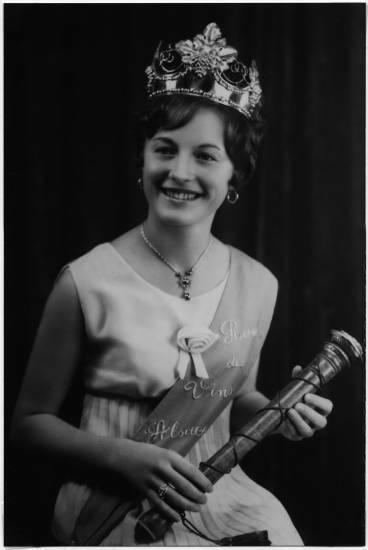 La fonction de Reine des Vins d'Alsace a été créée en 1954 à l'occasion de la 6ème Foire aux Vins de Colmar. 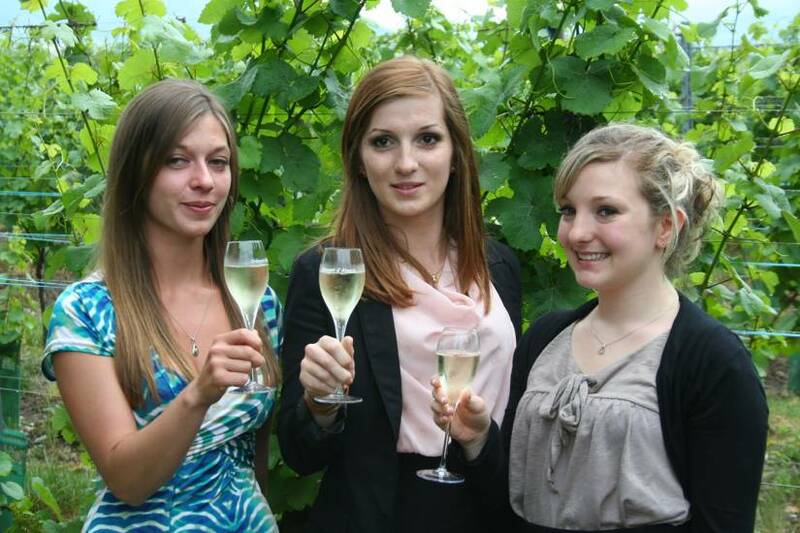 Il s'agit d'une mission unique en France, où des jeunes femmes ont pour fonction honorifique d'être les ambassadrices des Vins d'Alsace. 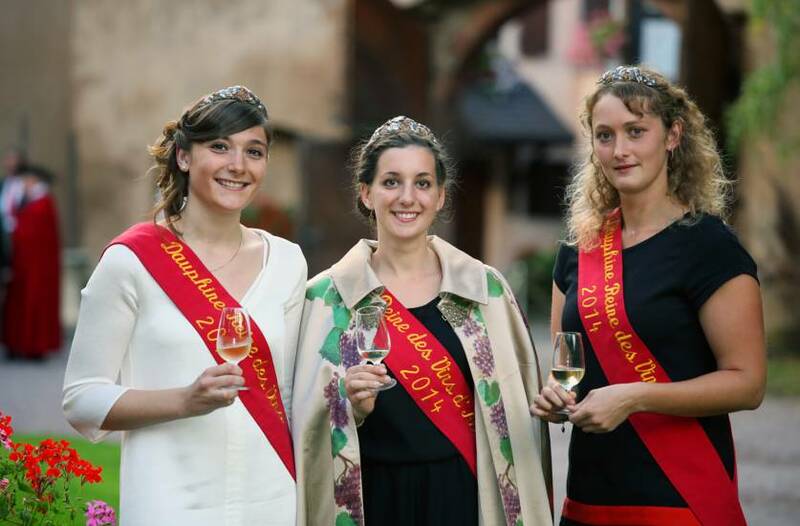 Initialement choisies à l'applaudimètre lors de la Foire aux Vins de Colmar, la Reine des Vins d'Alsace et ses deux Demoiselles d'Honneur sont aujourd'hui élues lors d'un concours mené conjointement par le Conseil Interprofessionnel des Vins d'Alsace (CIVA) et Colmar Expo, organisateur de la Foire aux Vins de Colmar. Les candidates doivent avoir moins de 25 ans et doivent parler au mieux de l’Alsace, de ses vins, de sa gastronomie et de son tourisme devant un jury d’une vingtaine de personnes, co-présidé par le président du CIVA et le Commissaire général de la Foire aux Vins et composé de professionnels du vin et du tourisme. Leur règne dure une année, durant laquelle elles sont conviées à des événements officiels principalement en Alsace, mais également hors région, comme par exemple à Paris ou en Allemagne. 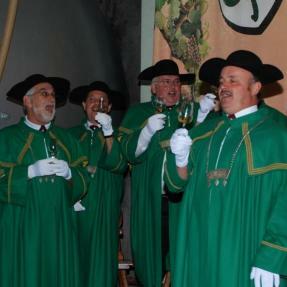 Fortes de leurs multiples horizons et de leurs personnalités, les Reines des Vins d'Alsace offrent chaque année un regard nouveau sur les Vins d'Alsace. 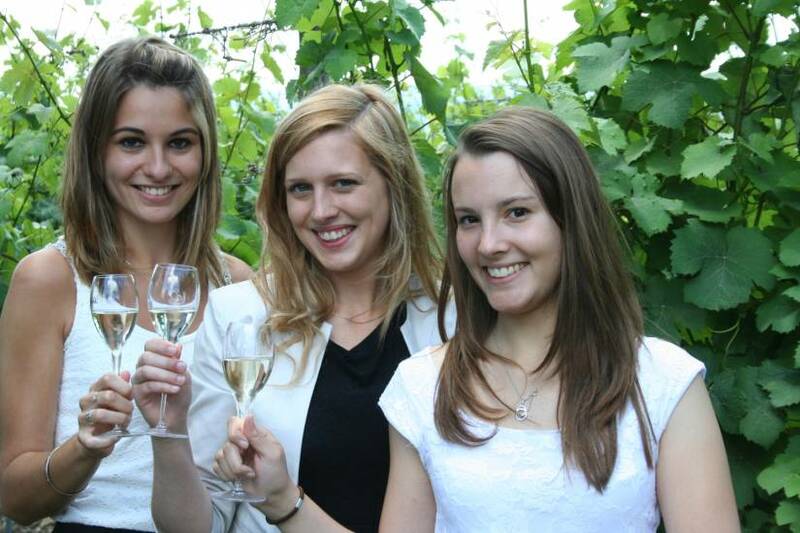 Véritables personnalités du monde viticole alsacien, elles participent ainsi activement à la promotion des vins, du vignoble et des professionnels du Vin d'Alsace. 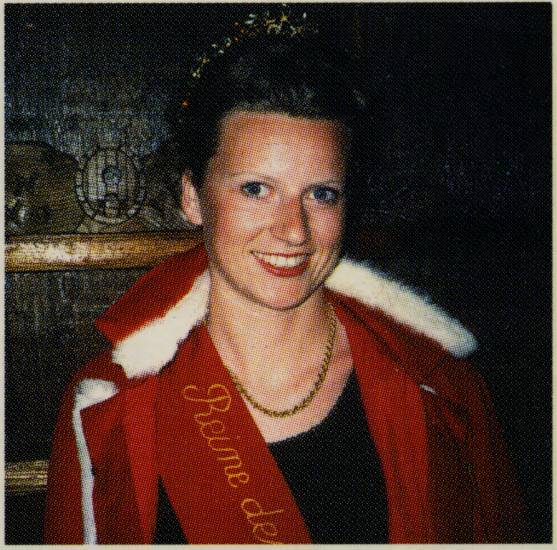 La couronne, ornée de pierre de vin, symbole par excellence de la royauté. 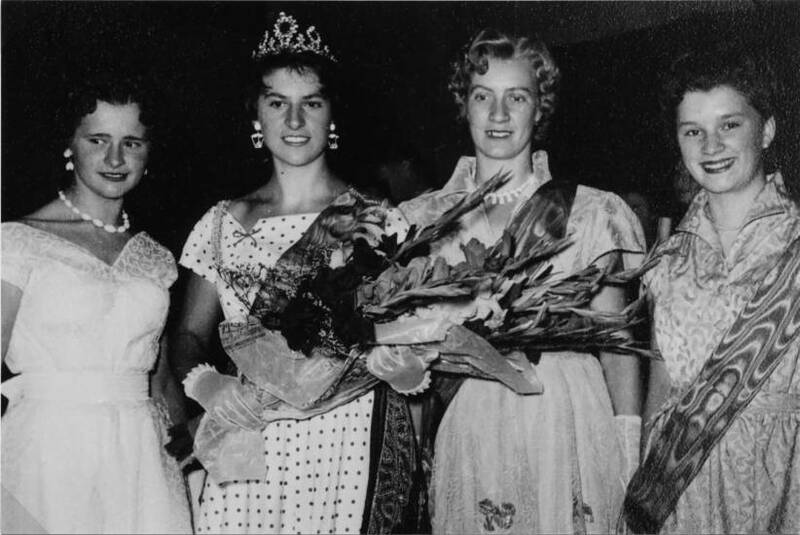 Les Demoiselles d'Honneur portent l'écharpe et la couronne.